A moist & yummy round shaped Butterscotch cake. A cake is a must have for all the celebrations.Add sugariness to your relationship with this yummy butterscotch cake. 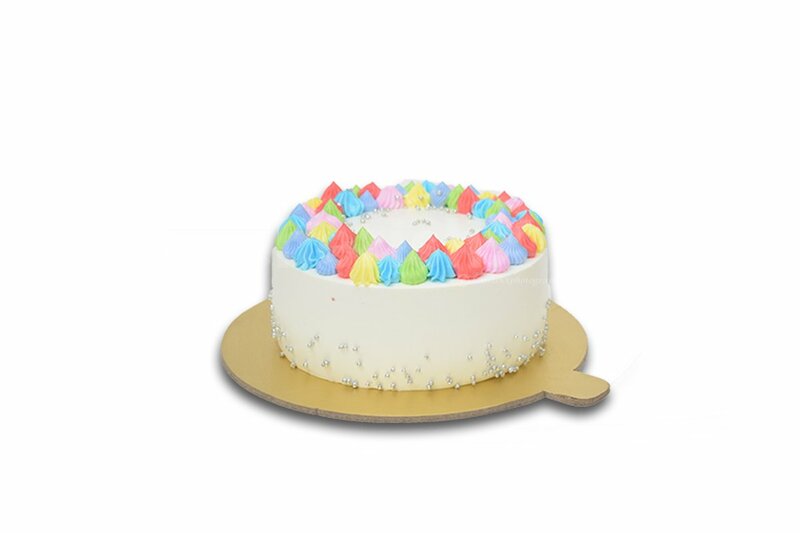 A moist cake topped with butterscotch buttercream.The cake is covered with more rainbow coloured piping and is totally to die for. You will love the texture of it – so soft and fluffy. Another reason is the simplicity of the ingredients.It is definitely the Valentine’s day maker. 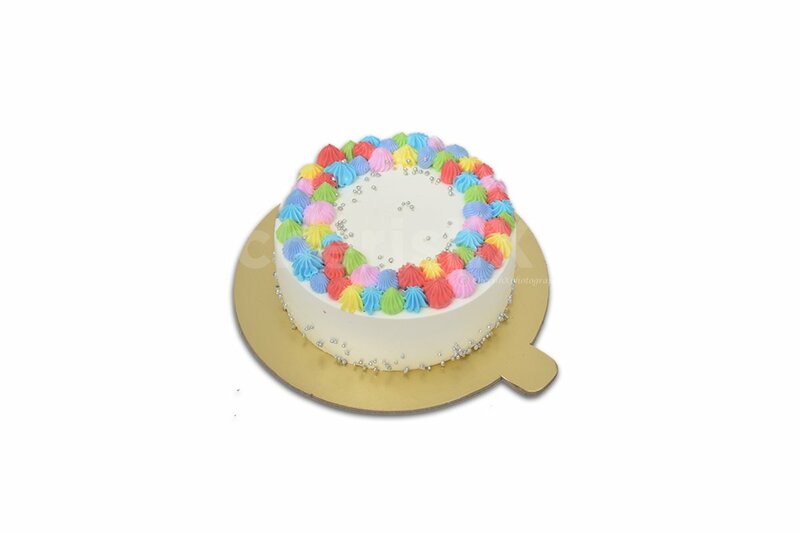 Express all your love and affection with this sweet & delicious surprize. The base of the cake is made up of butterscotch cake sponge iced with buttercream frosting as per the baker’s choice. Basic ingredients which result in this delectable dessert are butter, flour, sugar, cocoa powder or butter cream icing.